Summer internships/externships/clerkships/associate positions are starting soon (if they haven’t already started). It goes without saying that these next few weeks are an important part of your legal career. You expand your professional network, increase your legal skillsets, and get a better idea of what kind of law you do (and don’t) want to practice. 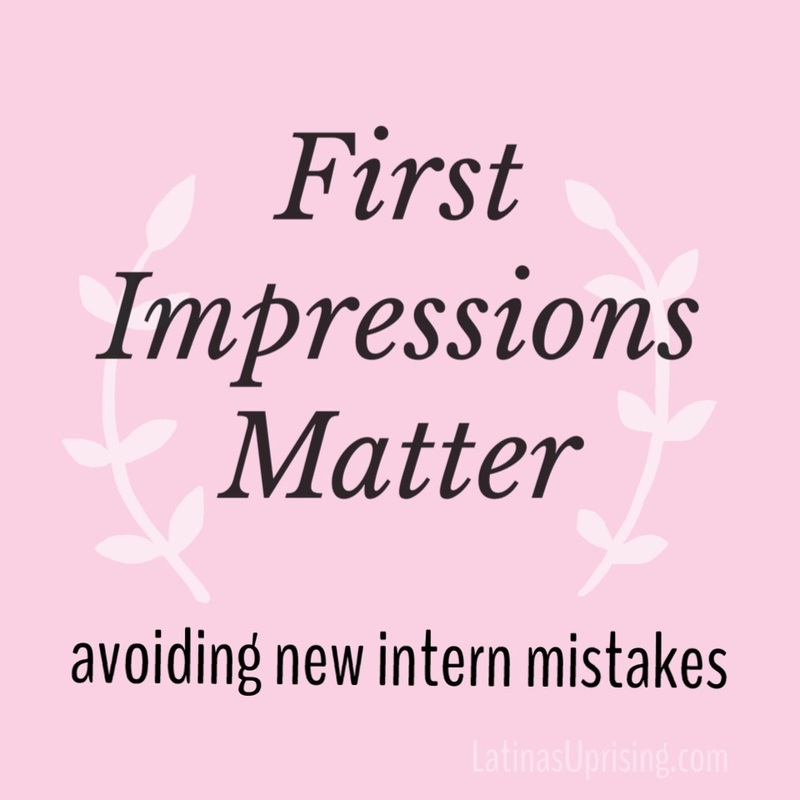 It’s also true that first impressions really matter and you have to make sure that you portray yourself as a professional, capable, and attentive intern. With that said, here are some missteps you want to avoid so as to put your best foot forward. One. Don’t be distracted by electronics. Let me tell you how annoying it is to discuss a case, only to have to repeat what I just said because someone is on their phone. I know it’s easier to bring a laptop or iPad to take down notes. However, if the other attorneys in your office don’t do that, then that you will look super out of place when you bust out a lap top while everyone else is just jotting down their notes by hand. A simple pad of paper and a pen will work just as well until you can figure out whether or not your office is Electronic Friendly. Also do your best to keep the phones at bay during meetings, simply because playing on your phone while others are talking just looks rude. Two. Don’t come to meetings empty-handed. When you meet one on one with attorneys who may be assigning you tasks or explaining cases to you–bring pen and paper. I’ve seen students walk into meetings without any way to write down instructions and it’s annoying. It’s annoying because they don’t remember the details I’m giving so I feel like I’m wasting my time because I know I’ll have to repeat everything. Make it a habit to carry pen and paper so you’re always prepared to take down notes and instructions. It will make you seem proactive and reliable. Just as important, make copies of everything you create. Unless told otherwise, make actual physical copies of motions filed, demand letters delivered, etc. This is still a very paper-based industry and it’s important to keep copies of things–especially anything with signatures. Three. Don’t be too casual. You want to make sure your tone and behavior comes off as someone a hiring partner would want to hire. This means that you don’t use slang in email to the boss (yes, I’ve seen this happen); you don’t try to find ways to get out of work early; complain about the assignments to other attorneys; or act flippant about matters everyone else is taking seriously. Honestly, this is more a problem I see in students that have always been comfortable or have had easier paths than others. They’ve never really felt out of place, so they get too comfortable too fast. But even if that’s not your background, it’s important to remember that as a student, even if bosses, supervising attorneys, etc. are friendly a power dynamic always exists and you have to behave accordingly. Four. Don’t fear asking questions. It’s likely that many lawyers are not the best at supervising interns or assigning projects in a way that makes a student feel comfortable in the work they’re doing. There is also still an old school mentality that you should be baptized by fire (which I think is really stupid and a disservice to clients, but that’s a post for another day). If you are in an agency that doesn’t seem to provide much guidance and seems to want you to figure it out on your own–try to be as proactive as possible, but don’t fear asking follow-up questions or for more clarification. I remember when I interned for some public defenders they let me stand up to do arraignments. Arraignments are pretty rote in that the judge asks the same questions and you give the same answers, for the most part. However, none of the attorneys walked me through what I would be asked or what I would say. I kind of stumbled through my first arraignment and felt really embarrassed. Looking back, I’m disappointed in my behavior because it was my first time on record and I should have pushed for more guidance so that I looked competent when standing before the judge. So instead, be honest about when you need more clarification so that when you do go on record or present a final product you are confident in the work you’re providing.